HiFiMan Edition S headphones are in many ways, a very special pair of headphones. They are the cheapest headphones made by the famous manufacturer of high-end planar magnetic headphones. Unlike all the other HiFiMan headphones, these are not planar magnetic, but that doesn’t make them less special. They are one of the rare headphones on the market that can be used as open-back or closed-back. It’s like having two pairs of headphones in one package. 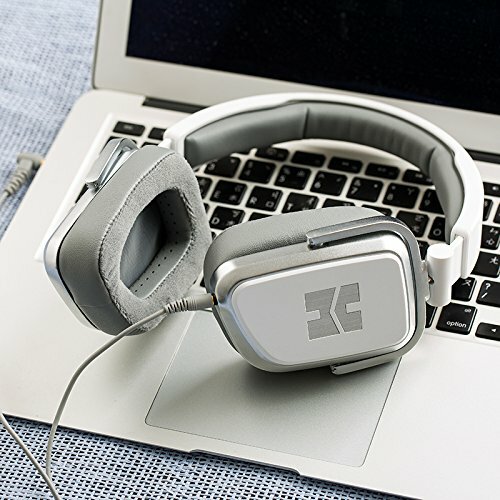 As you probably know, HiFiMan is best-known for its planar magnetic headphones. Some of their headphones like HE6, HE1000, SUNDARA, SUSVARA, etc. are very popular among audiophiles. All these headphones are made for critical listening, they are all quite large, and they are not portable. Also, they are all very expensive. 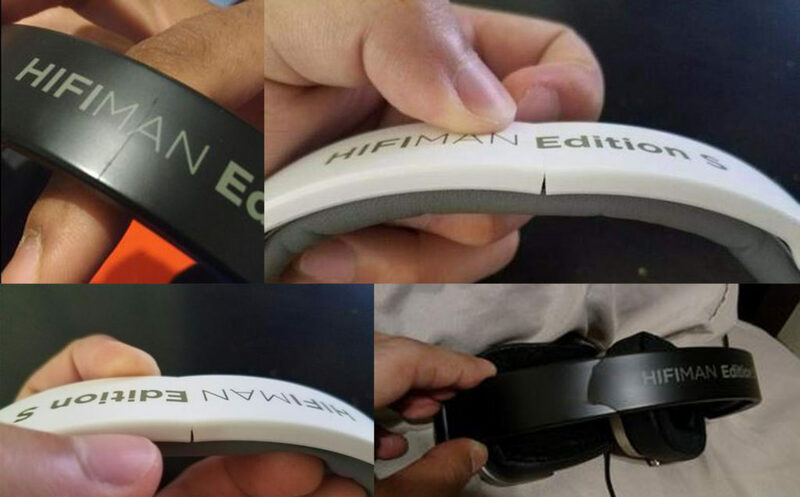 HiFiMan wanted to extend the reach by making more affordable and more portable headphones, and HiFiMan Edition S headphones are the result of that aspiration. 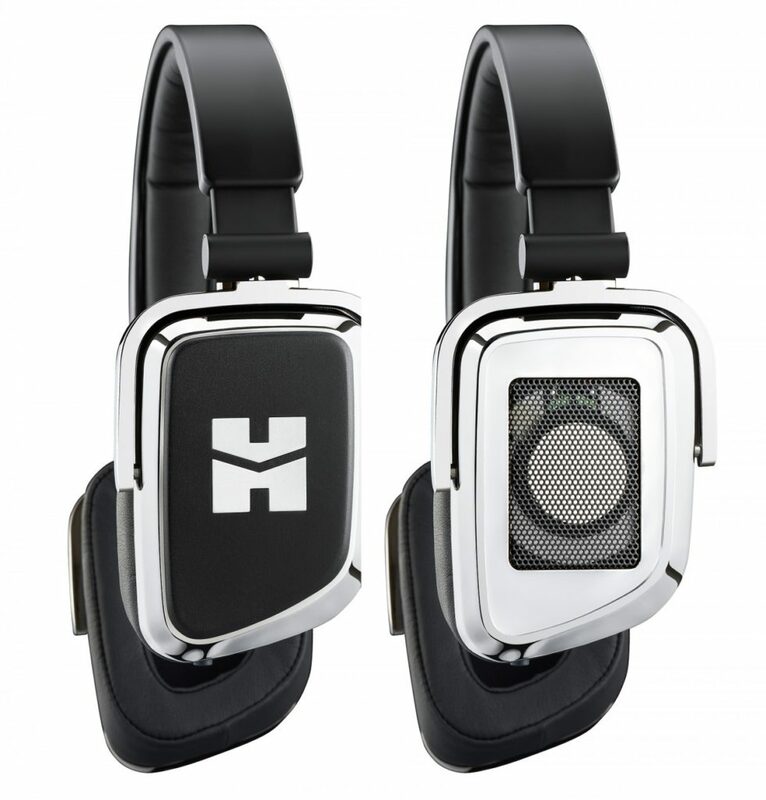 HiFiMan Edition S headphones have removable (magnetic) earcup covers and can be used as closed or open-back headphones. They are much lighter, smaller, and much more comfortable than any planar-magnetic headphones made by HiFiMan. These headphones are much easier to drive than planar magnetic headphones which makes them great for use on the go. They are also much more portable than HiFiMan planar magnetic headphones. Edition S headphones deliver great sound quality and, unlike the majority of other headphones, they deliver 2 different sound signatures. On top of all that, they are very affordable (priced under $80). For HiFiMan’s standards, they are actually quite cheap. Everything these headphones have to offer can be described in four simple terms – versatile, portable, comfortable, and affordable. The only thing we didn’t like is the build quality. They don’t look too fragile, but the build quality is definitely not on par with other HiFiMan headphones. Based on the long-term experience of previous customers, the weakest part is the headband, and we will discuss the durability issues in detail in the Performance section. Also, these headphones are wired and don’t feature Bluetooth connectivity which can be a deal breaker for some people. HiFiMan Edition S headphones should be on your shortlist if you are looking for great-sounding wired headphones under $100. The manufacturer’s priority was the sound quality, but you will also get great portability and comfort. Our greatest concern is the build quality, specifically the headband durability. Edition S headphones come in a nice-looking box. The packaging is not as premium as you would expect from HiFiMan, but then again, this is a completely different type of headphones. Along with the headphones, you will get 4.3ft-long audio cable with 3.5mm jacks on both ends (straight on one end, angled on the other end), hard carrying case, airplane adapter, ¼-inch adapter, user manual, and 1-year warranty. The cable features in-line controls with a built-in mic. HiFiMan Edition S headphones feature very interesting and visually appealing design. They are mostly made of plastic, but there are also some aluminum reinforcements. The earcups and the earpads have a strange shape that’s supposed to follow the contours of your ears. These headphones are designed as on-ear headphones, but the earpads are actually quite large. In our opinion, they are somewhere in between on-ear and over-ear headphones. The thing that makes these headphones truly unique are removable magnetic earcup covers. In just a second, you can change the design of these headphones (from closed-back to open-back and vice versa) and also change their sound signature by removing the covers. For some reason, the logo on these covers reminds us of the Transformers logo. 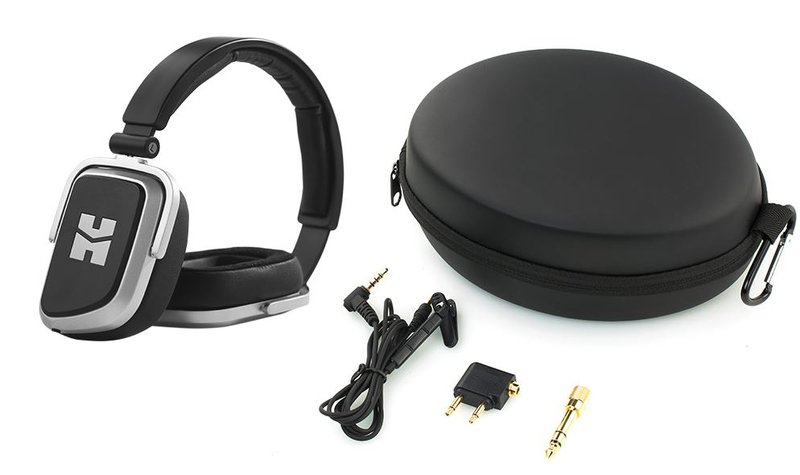 Like many other portable headphones, Edition S headphones have some nice and convenient features like foldable design, swiveling earcups, and adjustable headband. The headphones are available in two colors – black and white. The greatest difference between these and any other HiFiMan headphones are the drivers. Unlike other HiFiMan headphones, Edition S headphones feature two 50mm dynamic drivers. The idea was to cut the costs and make the headphones more affordable. The planar magnetic drivers were simply too expensive, but also too large and too heavy. So, in order to make the headphones more portable and more comfortable, HiFiMan had to use smaller and lighter dynamic drivers. The headphones can be folded which makes them easier to transport. They also come with a nice-looking sturdy case which additionally improves the portability. Edition S headphones are also much lighter than HiFiMan planar magnetic headphones (8.7oz). 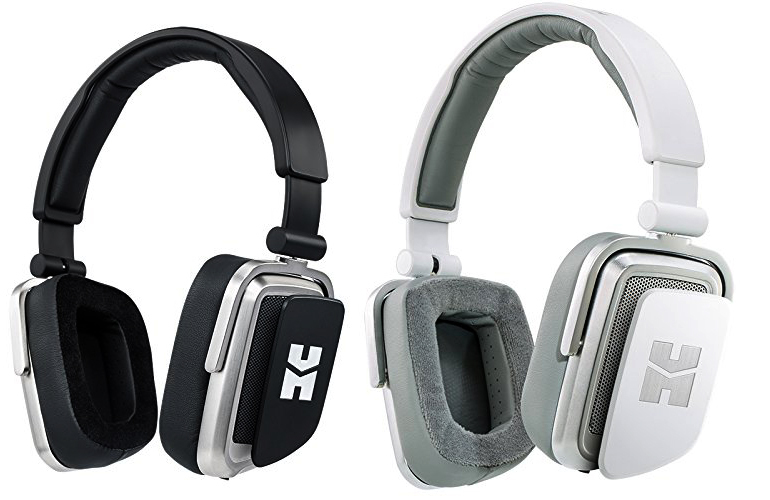 HifiMan used hybrid earpads which you can find on other more expensive headphones like HE-400i. The surface that touches your head is made of velour while the rest of the earpads is made of faux leather. The earpads are thick and soft. The manufacturer tried to extend the lifespan of these headphones in almost every way. 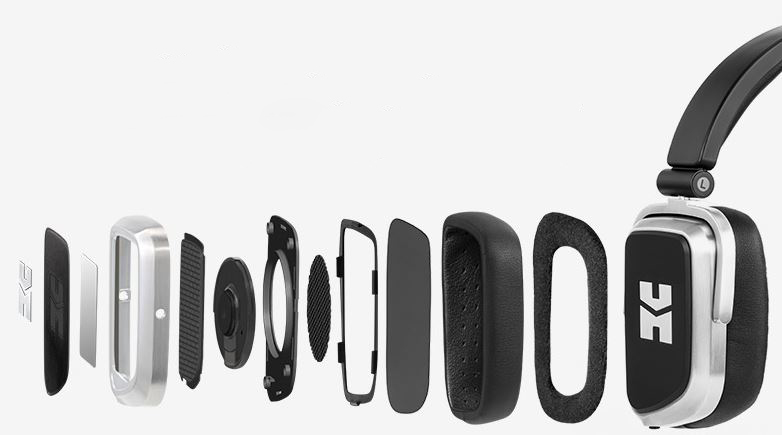 All the removable parts are replaceable and you can buy the replacement earpads (black and white) from the manufacturer. Earcup covers are replaceable, too. The headphones also come with a detachable audio cable. The cable is 4.3ft long and has 3-button in-line controls with a built-in mic. You can use the buttons to adjust the volume, play/pause the music, answer/end calls, and change tracks. The cable is thick and looks very durable. In case you break it or lose it, you can order a new one from the manufacturer (available in black and white color). The build quality is probably on par with the price, but we are not completely happy with the amount of plastic. The earcups, covers, joints, and earpads look quite durable but the only concern is the headband. It simply looks too cheap. When these headphones first appeared, the price was really high ($200+), but they had to reduce it to $150, and then again to less than $100. The main reason was probably the build quality. These headphones do not have the build quality that’s on par with $200 price tag. To conclude, the original price was unreasonable, but for less than $80 we can’t complain that much. Edition S headphones deliver more than satisfying performance for the price, but there is one big issue we really have to warn you about. The headphones are very light and incredibly comfortable. The weight is nicely distributed and clamping force is just perfect. It’s strong enough to keep the headphones in place while you move, but it’s not fatiguing and doesn’t put too much pressure on your ears and head. The earpads and nicely padded and very soft. The earpad size might be an issue if you have slightly larger ears. The padding on the headband doesn’t seem thick enough, but we haven’t experienced any discomfort while wearing them. It’s a great thing that you can remove/replace the earcup covers and earpads. 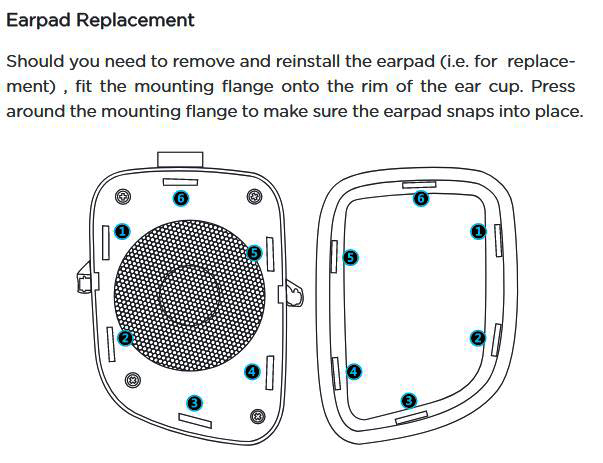 Removing/replacing the covers is simple and easy, but replacing the earpads can be tricky, especially if you are afraid that you are going to break the earcups. The earcups are actually more durable than you might think and you should just follow the explanation below. One thing we really have to warn you about is the headband quality. The plastic on the headband is too thin and tends to break, usually somewhere in the middle. Some lightweight metal headband would be a huge improvement. The worst thing is that the headband is the only part that’s not replaceable. If you break it, you can try to glue it or tape it, but the headphones will never be the same. This is the only real downside of these headphones. If they somehow manage to make the headband more durable without increasing the price over $100, these headphones will be a great buy. In-line controls and built-in mic work just fine. The buttons are responsive and the microphone delivers above-average performance. Considering the price, HiFiMan Edition S headphones deliver an amazing sonic performance, and the fact that you can change the sound signature (extend the frequency response and make the soundstage wider) by removing the earcup covers makes them even better. These headphones are one of the best in the class when it comes to sound quality. When the covers are on, the bass is just a little bit punchier. It’s fun and impactful but very accurate and controlled. It’s just enough to make the music enjoyable, but not too emphasized to the point where the low mids start to sound muddy. Mids are probably the greatest highlight, but that’s kind of expected from HiFiMan. All the planar magnetic headphones made by HiFiMan have a perfect midrange reproduction. Edition S headphones are not on par with HiFiMan planar magnetic headphones when it comes to mids, but they are still very smooth and warm. The male vocals and everything in the low midrange sounds perfectly natural and engaging. Higher mids are just a little bit brighter than they should be. There’s a good amount of detail in the treble range. Some high frequencies are slightly elevated and sound bright, but not too intense or fatiguing. When you remove the covers, you will get a wider soundstage and more spacious sound but also deeper bass (extended bass response). The treble becomes smoother and more natural. Edition S headphones are very easy to drive (18Ω impedance). They are definitely much easier to drive than any other HiFiMan headphones. You don’t really need an amplifier; your phone will be just enough. Sound leakage and noise isolation are not great. Noise isolation is better when the earcup covers are on, but these covers don’t seal the earcup hermetically and you can’t really expect the same amount of noise isolation as you would get from other closed-back headphones. The same applies to sound leakage. The number of available choices under $100 is overwhelming. You have all kinds of wired and wireless headphones, but most of them don’t sound as good as HiFiMan Edition S. Here are three more great-sounding headphones. 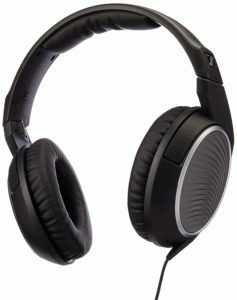 Sennheiser HD 202 II headphones are, along with HD 200, and HD 201, one of the most popular headphones made by the Sennheiser. For the Sennheiser’s standards, these headphones are considered budget options. HD 202 II headphones are slightly more expensive than HiFiMan Edition S. They come with 2-year warranty. They are slightly harder to drive than Edition S headphones, but they will still deliver a very good audio performance when driven by a smartphone. 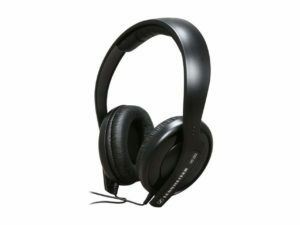 Sennheiser HD 202 II headphone are a little bit sturdier and feel more durable than Edition S. They have removable earcups, but the cable is not detachable. Edition S headphones have in-line controls and a built-in mic, while Sennheiser HD 202 II headphones don’t. Both headphone models are incredibly comfortable, but Sennheiser HD 202 II headphones are much lighter. They are both great for long listening sessions. Sennheiser HD 202 II headphones are more bass-driven and are better for bass-heavy music. Edition S headphones deliver slightly better midrange. HD471G are budget headphones made by Sennheiser. They are priced under $80, just like HiFiMan Edition S. HD471G headphones are slightly harder to drive, but still perform very good when driven by a smartphone. They come with a single-sided detachable cable. The cable features 3-button in-line controls and a built-in mic, just like Edition S cable. Both headphone models are made of plastic, but Sennheiser HD471G headphones seem more durable. Both headphone models offer great comfort, but HD471G are over-ear headphones which makes them slightly better. Surprisingly, Edition S headphones have a better bass response than closed-back Sennheiser headphones. Bass is suppressed on HD471G. Edition S headphones deliver more pleasant and more natural sound. Marshall Major II headphones are, in our opinion, the most beautiful headphones out of 4 mentioned headphone models. They are just a few dollars pricier than Edition S headphones. They are much harder to drive than Edition S headphones (64Ω VS 18Ω). Marshall headphones can be driven by your phone, but you will get a much better performance with an amplifier. Both headphone models are foldable and highly portable. Both headphone models come with a detachable cable with in-line controls and a built-in mic. The cable for Marshall Major II has only one control button. Marshall Major II headphones are very well made and look much more durable than Edition S headphones. 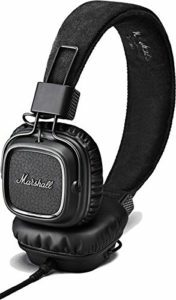 Marshall Major II headphones have very soft cushions and well-padded headband, but Edition S headphones are still more comfortable. When it comes to sound, Marshall Major II delivers stronger bass (maybe even too much bass), but Edition S headphones are more balanced and sound more natural. HiFiMan Edition S is a great pair of headphones. If you are looking for something affordable and your main priority is sound quality, you should definitely try these. In addition to great sound quality, you will also get a great comfort, but you will have to handle them with care. They are entirely made of plastic and the headband is fragile. All the models mentioned in the Competition section are more durable, but Edition S headphones deliver better sound (more natural and more detailed) than the competition. If you prefer more pronounced bass, you should try Sennheiser HD 202 II or Marshall Major II. Transparency Disclosure – AudioReputation.com is a participant in the Amazon Services LLC Associates Program. To put it simply, we have an affiliate relationship with Amazon. In our reviews, you will find links that will redirect you to one of the Amazon’s websites (usually amazon.com). These links are called ‘’affiliate links’’ and they help us fund our work. So, basically, when you click on some link and buy the speaker/headphones/soundbar/home theater system or any other piece of audio equipment, we get a small percentage/commission. You don’t have to pay extra if you click on our links – there are no additional costs. When we recommend some piece of audio equipment, it’s not because we are under an obligation to do so. It’s because our evaluation and research have shown that certain product deserves to be recommended. Hello, my name is James Longman. I’m a writer and editor at AudioReputation. I disassembled my first portable AM/FM radio when I was only 8. At the age of 11, I burned the circuit board on my old boombox cassette player. I’m not going to explain how but it was reckless and stupid. Since then, I have become much more careful around radios, boomboxes, and other audio devices (at least, I like to think so) but I have never lost the passion for audio equipment. Throughout 20 years of my professional career, I’ve been working for various audio equipment manufacturers and even started building speakers on my own in my little workshop. I love the work we do here at AudioReputation. Testing, comparing, and evaluating all kinds of audio devices (speakers, soundbars, headphones, home theater systems, etc.) is something I truly enjoy. I try to be unbiased and give you my honest opinion on every piece of equipment I test. Still, you should take my reviews with a pinch of salt and always be just a little bit skeptical. The fact that I liked some speaker or soundbar doesn’t mean that you are going to love it. If you have the opportunity, you should test it/hear it before buying it. What is True Wireless Stereo Technology (TWS)? What Does a Speaker Switch Do? AudioReputation.com is created with the sole purpose of helping beginners, audio enthusiasts and all those interested in audio electronics, and offer tips & guides, reviews and product comparisons. Copyright © 2019 AudioReputation.com. All Rights Reserved AudioReputation is a participant in the Amazon Services LLC Associates Program, an affiliate advertising program.